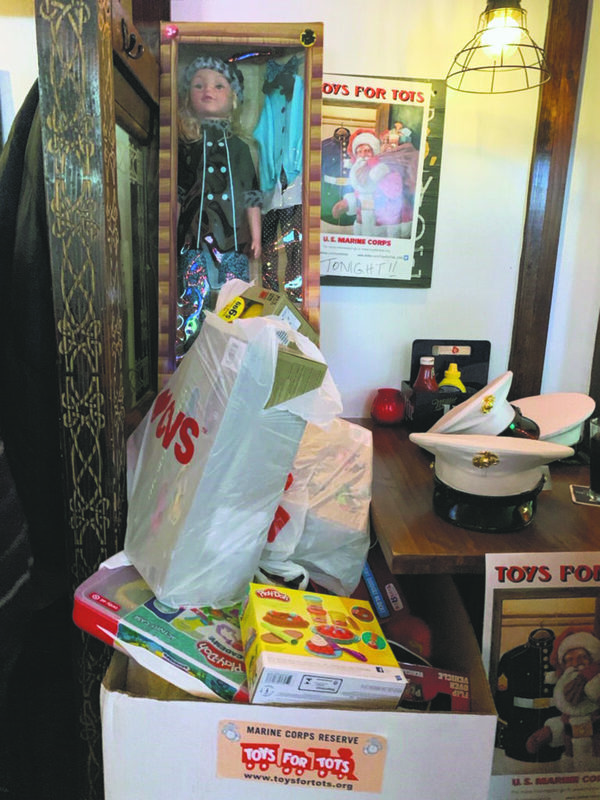 Last week, the Recovery Room Bar and Grill, which is located at 214 Station Plaza in Mineola, held a Toys For Tots charity fundraiser for children who are less fortunate to receive toys this holiday season. Mineola resident Regis Gallet, who owns the bar along with his wife Cristi, said organizing the event came together quite organically. The Recovery Room managed to fill two large boxes with unwrapped toys with Gallet estimating that they raked in close to 100 toys. Gallet said that he and his wife wanted to make sure that the Toys for Tots event was not about their establishment—offering no incentives that night other than the spirit of giving to get people to donate toys. Based on the success of the charity fundraiser, Gallet said the Recovery Room will most likely do more in the future. According to Gallet, the Recovery Room has been a staple of Mineola for many years, which was known to many as O’Carrolls previously. “We are proud to be known for our warm and friendly staff, great food and drinks, and warm and inviting atmosphere,” said Gallet.